Ed Sheeran is an English singer and songwriter as well as being a talented musician. 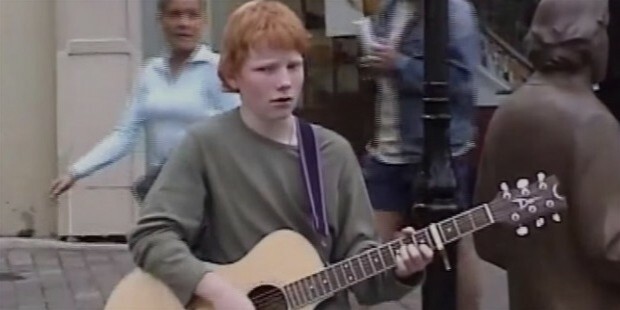 Ed Sheeran dropped out of school at an early age and started pursuing a career in music in London and is now one of the most popular young musicians in the world. His personal net worth is estimated to be around $57 M.
Edward Christopher ‘Ed’ Sheeran was born on 17th of February, 1991 in Hebden Bridge, Halifax, West Yorkshire but his family soon moved to Framlingham in Suffolk. He has an older brother, Matthew who has studied music at university and is now a classical composer. Ed Sheeran was born to John and Imogen Sheeran, an art curator and a jewelry designer respectively. 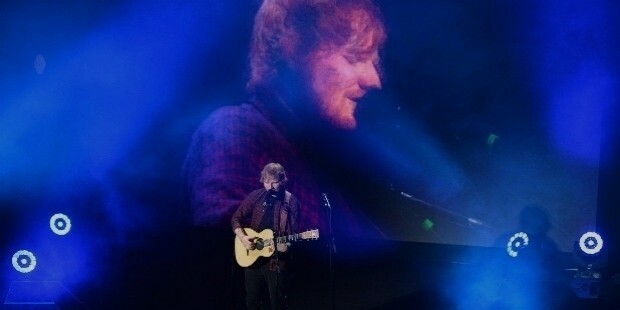 Ed was interested in music at a very early age and began singing in the local church choir at the age of four and was playing the guitar as well. Ed was at the Thomas Mills High School when he started writing his own songs. He also attended the National youth Theatre in London as a teenager. In 2004, Ed began recording music and independently released his first collection, Spinning Room. In 2009, Ed released another EP, You Need Me before leaving for a tour with Just Jack. In February 2010, Ed was invited by rapper, Example, to join him for a tour and also released his critically acclaimed Loose Change EP which featured his debut single ‘The A Team’. In April of 2010, Ed flew to Los Angeles and was spotted for his amazing talent by Jamie Foxx who allowed Ed to use his recording studio for the rest of his stay. His fan base kept growing at a steady pace due to his viral videos on YouTube and he rose to fame. 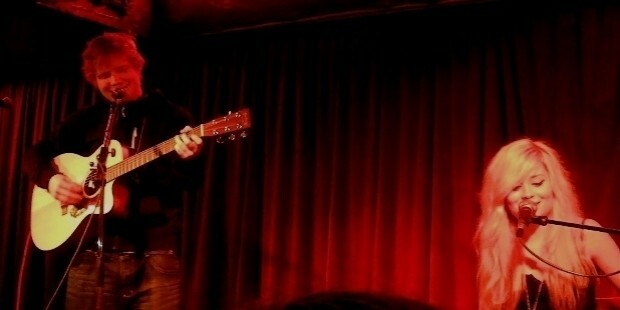 In 2010, Ed released two more EPs, Ed Sheeran: Live at the Bedford and Songs I Wrote with Amy. In January of 2011, Ed released No. 5 Collaborations Project, another independent EP with grime artists such as Jme, Devlin and Wiley. This EP went on to reach the no. 2 spot on the iTunes chart without any label or promotion and also sold around 7,000 copies in the first week after release. In April of 2011, Ed was signed by Asylum Records. 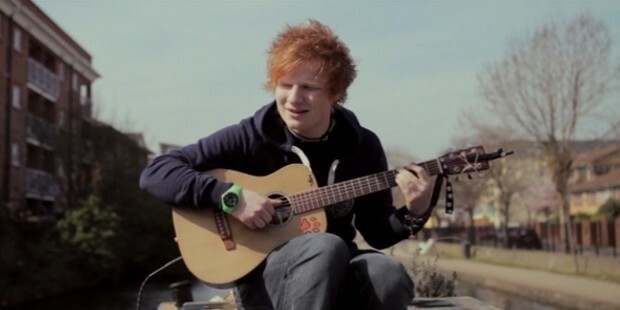 In April of 2011, Ed debuted his single, ‘The A Team’ which entered the UK Singles Chart at no. 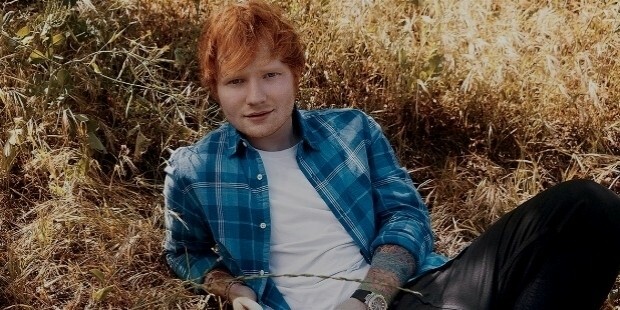 3 as well as selling more than 58,000 copies in the first week after release and selling a total of around 801,000 copies by becoming Ed’s best selling debut album as well as the 8th best-selling album of the year 2011. 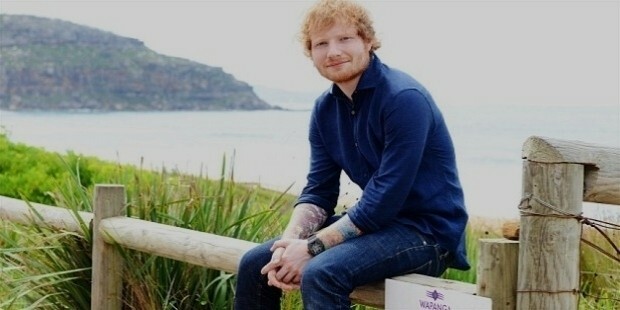 In August of 2011, Ed released his second single, ‘You Need Me, I Don’t Need You’ which peaked at no. 4 on the UK Singles chart. 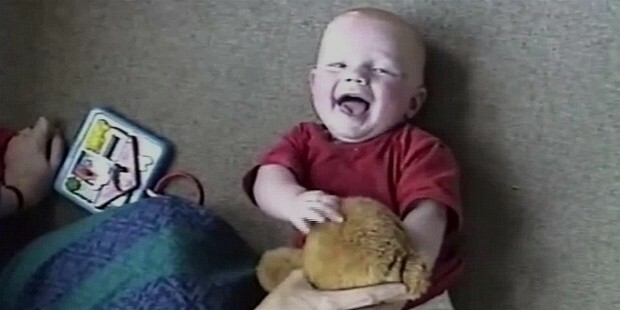 He went on to release his third single ‘Lego House’ which reached the top ten list in many countries worldwide. 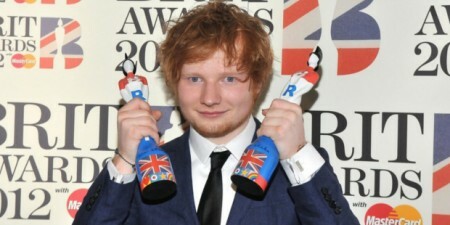 In February of 2012, Ed released his fourth single, ‘Drunk’ which went on to reach no. 9 on the UK single top ten charts. 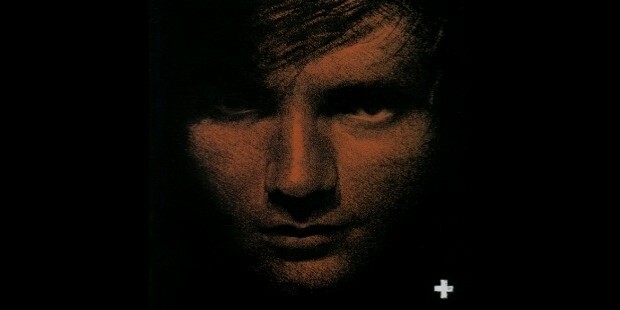 In September of 2011, Ed released ‘+’ (PLUS) which went on to the become no. 1 on the UK Albums Chart and went on to sell more than 102,000 copies and had sold more than 791,000 copies by the year’s end. This album became the 2nd best-selling debut album and also the 9th biggest-selling album in the UK. It has been certified platinum 6 times by the British Phonographic Industry with shipment exceeding 1,800,000 copies worldwide. 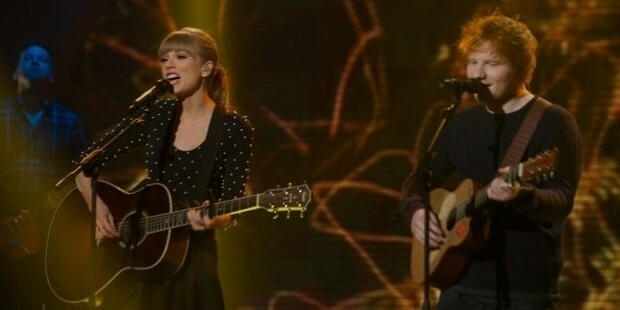 In 2012, Ed also featured in American singer, Taylor Swift’s ‘Everything Has Changed’ from Red and also provided the vocals as well as being the co-writer of the song. He also contributed two songs to One Direction’s studio album, Take Me Home making the group’s single ‘Little Things’ no. 1 in the UK. 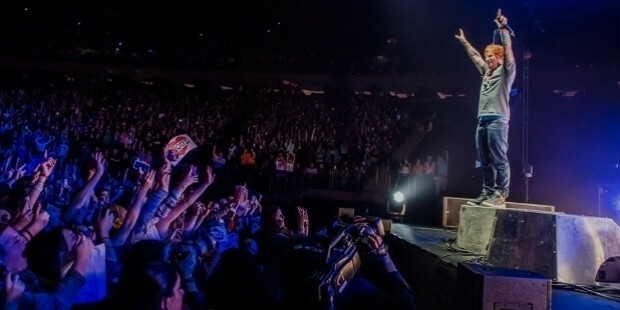 In October of 2013, Ed headlined 3 sold-out shows in New York’s massive Madison Square Garden. 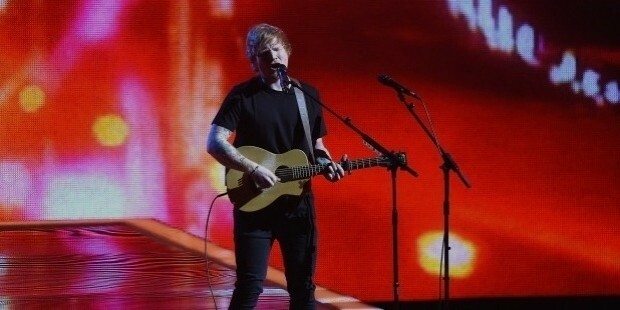 In March of 2014, Ed released ‘Take It Back’ while performing at the Teenage Cancer Trust charity concert at the Royal Albert Hall in London. 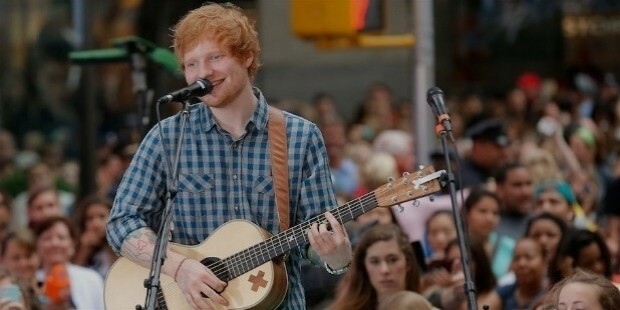 In April of 2014, Ed released ‘Sing’, the lead single. He also released ‘One’ from the same album in May of the same year. By June 2014, ‘Sing’ had reached the no. 1 spot in the UK Singles charts. In June of 2014, Ed released his 2nd studio album ‘x’ (MULTIPLY) worldwide and had written more than 120 songs for the album in a span of 3 years. This album peaked at no. 1 in the UK Albums Chart as well as the US Billboard 200. 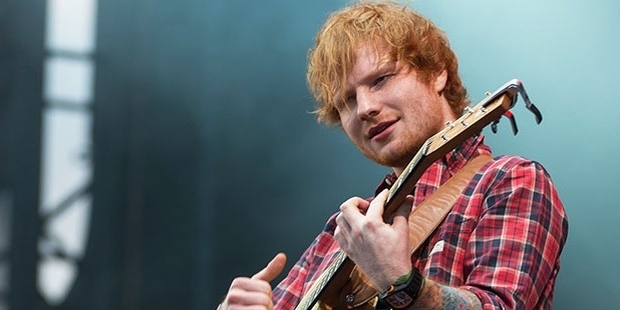 In March of 2015, Ed launched his very own recording label, Gingerbread Man Records, in a deal with Warner Music Group. The label was launched in August of 2015 accompanying its YouTube channel. 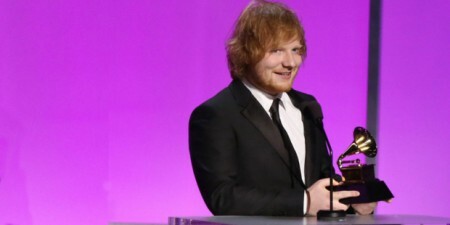 Ed Sheeran is the recipient of various acclaimed and popular music awards as well as many other accolades, especially for his excellent achievement in the music industry. In 2012, Ed received the British Breakthrough Act and the British Solo Male Artist awards by the BRIT academy. In 2015, Ed won the Favorite Male Artist in Pop/Rock award by the American Music Awards. 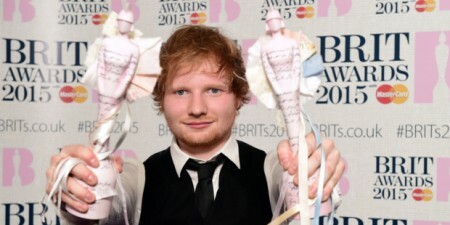 In 2014, Ed received the BBC Music Award for the British Artist of the Year. 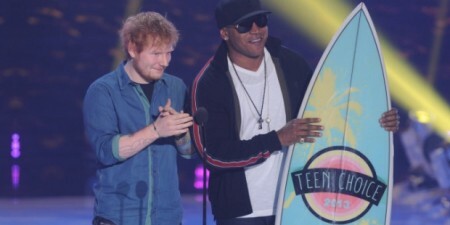 In 2013-2014, Ed received the Broadcast Music, Incorporated (BMI) Award for the Pop Song Award for four of his singles. 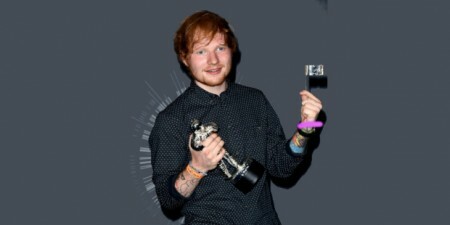 In 2011, Ed also won the BT Digital Music Award for the Breakthrough Artist of the Year. In 2015-2016, Ed received the Echo Award for the Best International Rock/Pop Male Artist, one in each year. In 2016, Ed received the Grammy Award for Song of the Year (‘Thinking Out Loud’) and the Best Pop Solo Performance award as well. In early 2011, Ed purchased a farm near Framlingham in Suffolk and hopes to raise a family there. In 2014, he also bought a house in South London. In 2012, Ed was in a relationship with Scottish singer-songwriter, Nina Nesbitt before breaking up. 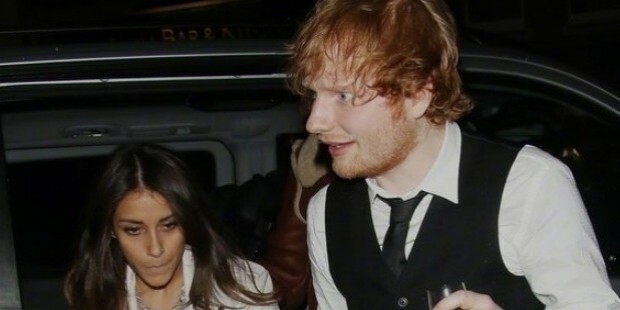 In January of 2014, Ed started dating Athina Andrelos, who is associated with British celebrity chef, Jamie Oliver but the couple broke off the relationship in February of 2015. 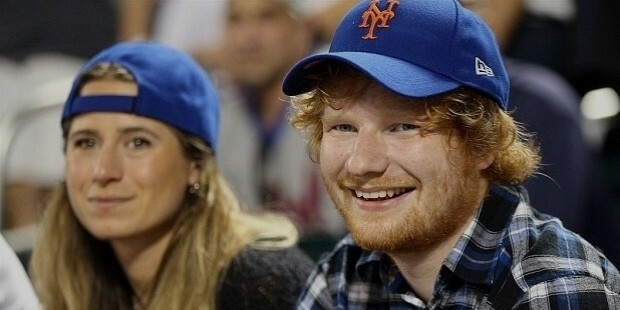 Ed is currently dating his former high school friend, Cherry Seaborn. 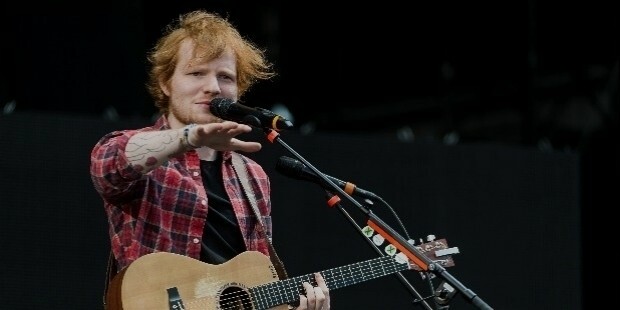 In June of 2015, the Forbes magazine estimated Ed Sheeran’s earning to be around $57 million for the previous 12 months and he was ranked 27th in the highest-earning celebrity list by the magazine. 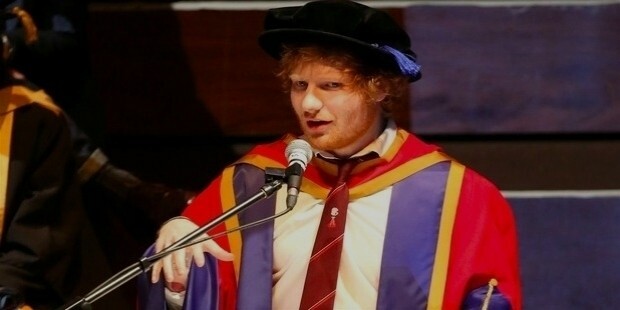 In October of 2015, Ed received an honorary degree from the University Campus Suffolk in Ipswich for his ‘outstanding contribution to music’.